This was my first attempt at creating a sliceform card. I saw a similar one online and decided I wanted to make one for a relative's anniversary. I don't mind sharing the file, but I need to put together some assembly instructions before uploading it into the gallery. If you think you would like to try it before I get the instructions together, just drop me a line and I will clean up the file and upload it to the forum. That is something very special - I love it. Did you create the birds? Just love 'em We have a green cheek conure. I would love to create something using our lil Gabby Guy. and he gabs a lot, he can say between 40-45 words, he is about 16 half years old we got him when he was 5 weeks, at seven weeks he said night, night. I found a photo of a pair of love birds on the web and then tweeked it. Here is the MTC file for just the birds. For the feathers - I gently pulled the cut marks forward to create the feathers. I do so love your work. This is just beautiful. 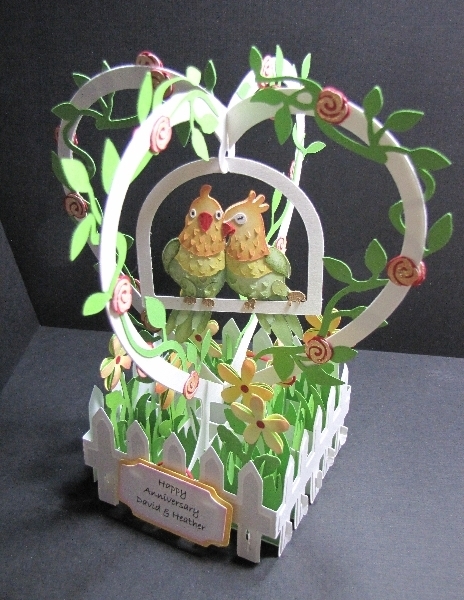 PaperCreations, Thank You For Your Birds!!! Gorgeous file. I would love to try the slice form design. 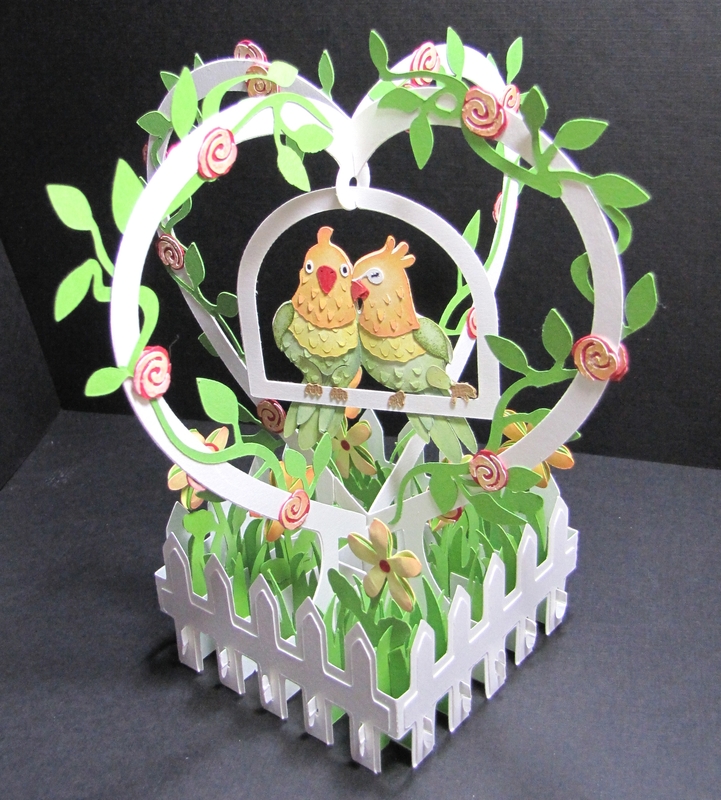 Thanks for the LoveBirds file. 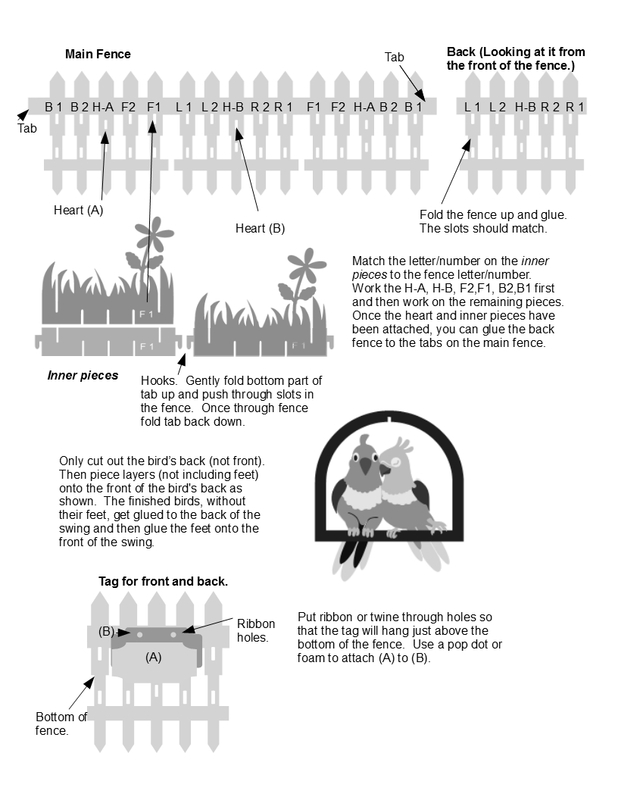 Here is the file and instructions for the entire card with the birds. Give it a try. @PaperCreations Thank you! 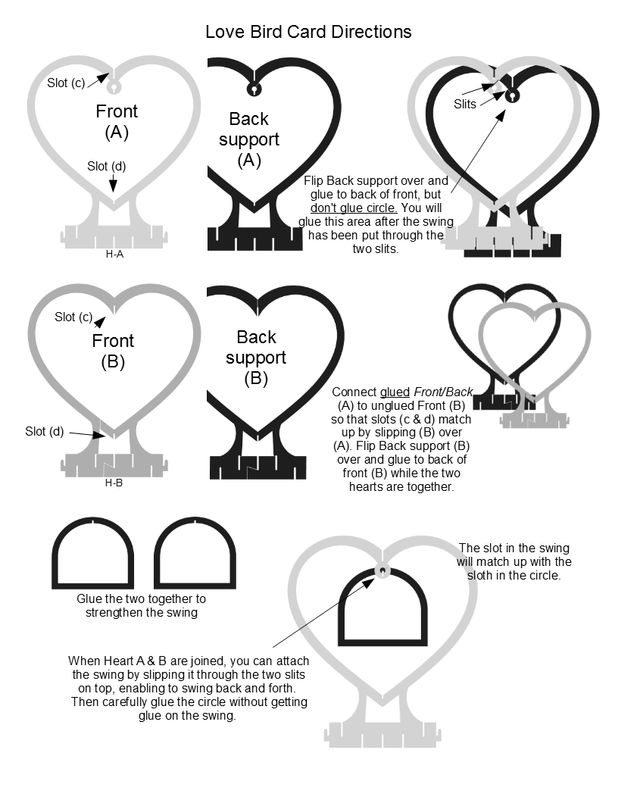 It took you quite a bit of time to put together those instructions for us. You are a very clever designer; you put all your designs together in a different way. Love them all. Thank you. Going to give it a try. That is very nice, very pretty! One of these days I will try the slice forms! Simply delightful, and thanks for sharing! @PaperCreations , Your design is incredibly beautiful, and creative. Hubby has a sun conure. He named it Guy, whi h was a great name till "she" laid an egg. LOL.